My May blogging month was another hectic one, not least because I was away for a week in Miami, organised a street party to celebrate the royal wedding and saw my son turn into a teenager! So the blog side of things hasn’t been as fruitful as I would have liked, but sometimes life takes over and that’s fine. All work and no play would make Lauretta a very dull person. Still, a few things have happened…. I was at a Jumeirah Hotels & Resorts’ press event earlier this month as part of my job as a travel journalist. We were all journalists there except for just two bloggers which was interesting. And these two bloggers – Maddie Bruce and her friend Kate (can’t recall her surname) didn’t focus on travel as such, but were beauty and fashion bloggers. As influencers, each of them would have had a huge following and were therefore invited to the event, but I’m not sure how useful it was for them to learn about Jumeirah’s future plans and developments. I think a fact sheet and an overnight stay or two at one of the properties would have sufficed and would have been better suited to the way they showcase their lifestyle and ‘sell’ their style. Maddie/Kate – do correct me if I’m wrong, but it would be interesting to see what you thought….and how you reported on the changes taking place. Still, I made sure that I told Jumeirah that it’s great how they are beginning to recognise the influence of bloggers and get them more involved in events. I hope there’ll be a time when we see half bloggers/half journalists at events like this. It’s good to be back in the top 100 HIBS chart – but only just! From April to May I somehow managed to climb from spot number 133 to 94th. If truth be told, I think the visits to my competitions page have done the trick. I’ve had a high number of entries to the competitions with some nifty prizes which has been great. Right now (if you’re interested), I’ve teamed up with Prezzybox to give away a Stars Wars Stormtrooper decanter in the run up to Father’s Day. I know I mentioned this last month but I'll mention it again as my brushes arrived – wooohooo! 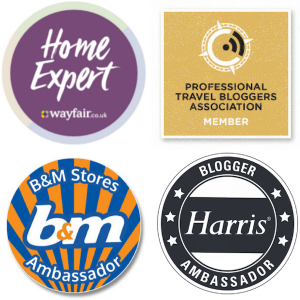 So I’m pleased to announce that I am now officially one of Harris Brushes’ Blogger Ambassadors for 2018! 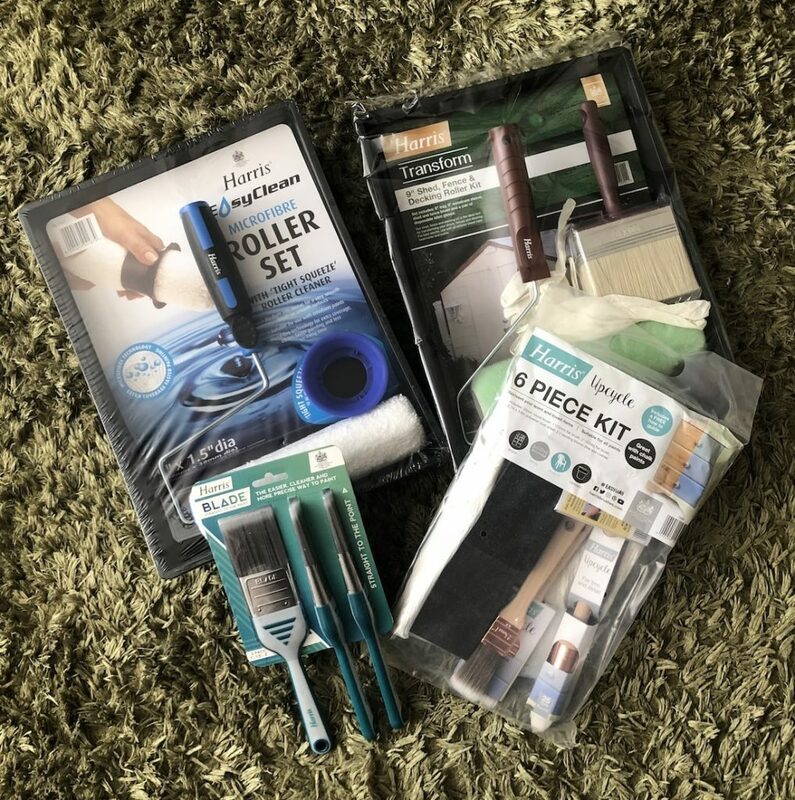 With a large range of brushes, I'm looking forward to planning some upcycling projects – which is what I long to do in my spare time – the little I get! I already like and use Harris brushes anyway (just because they are great quality and I see minimum bristle loss) so it was a no brainer to accept their offer. Another company I’m a big fan of is Whittard of Chelsea. I’m always having a nosy at their site – and I’ve featured them before on social media and in My Favourite Finds. Anyway, they got in touch to see if I’d like some samples and I jumped at the chance – I’ll be featuring them in my June Favourite Finds again! I suppose my epic failure for this month was not writing as many posts as I would have liked. 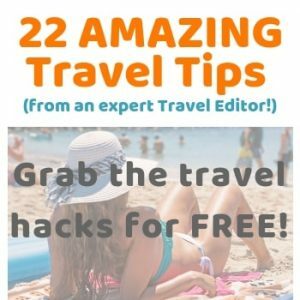 It would be nice to get a post written every week for the month – one travel-based, one interior post, a lifestyle post (e.g. a mini rant) and a parenting post. I might actually set that as a challenge going forward, but I have a feeling that June won’t be a mega busy month just because I’ve signed up to do a big project at work, meaning that although I get paid for it, my evenings and weekends will be taken up doing that. I’ve been getting loads of emails asking for links to people’s sites. And apparently, in return they either offer to promote me via their social media channels or offer a ‘reasonable payment’. I always reply to these emails asking them to check out the ways I work with individuals and brands by reading my ‘About Me' page, but as from today, you know what? I’m not even going to bother responding. As I write this I’ve deleted five requests over the last two days – FIVE!! And just replying to people takes up my valuable time, so if they can’t be bothered to read my blog and how I work, why should I bother to give them the time of day? And that’s my learning lesson for May! My goal for this month was to upload more videos for my YouTube channel. I didn't manage to get one a week done, but I did upload a Dunelm Mill and TK Maxx video though – showing what’s new in both stores right now – have a watch at Dunelm here and TK Maxx and let me know what you think! I didn’t attend any blog events in this month, but I’ve got a couple of events coming up, mostly for interior shows who will be starting to display their wares for Christmas – it’s crazy early I know, but that’s how they roll. Still, I’m looking forward to seeing what’s in store. What wasn’t? The amount of ‘Can you link to me?’ emails I’m getting! Goals for June: Given my large work project, I’m not being too ambitious here, so my goal is to upload two videos in June! Thank you Claire – the HIBS chart tends to fluctuate so next month I might be back in the 100s or 200s! Thanks Anna! All good in camp Lauretta! Thanks Carole – that’s very kind! Sounds like a very productive month! Well done you for getting back in the Top 100 in the HIBS charts I can only dream of that ha. Sounds like a busy and productive month. I hope you had fun in Miami. Certainly did – it’s crazy out there right?! Wow, you have been a busy bee, bet your feet have barely touched the ground! Well done on the HIBS ranking, that’s fab! Congrats on the blog ambassador role. Congratulations on your new blog role. You really did a great job. Keep it up, girl!! Thanks Angela – that’s really kind. I don’t blame you for not wanting to respond to the ‘free link’ people who always have a budget (usually tiny) when pressed. I ignore most of them but lots of them are very persistent and keep emailing so in the end I have to respond just to get them off my back! Not just me then! I think I should just have a ‘copy and paste’ message ready to go if it gets too much! I keep getting them – people are not taking the hint lol! I had always wanted to go to Miami – its’s interesting though – there’s no subway and I didn’t expect there to be quite so much traffic there! Yes – they do this every year and it seems weird. But it’s understandable really when you consider the consumer mags work a few months in advance of when we see them on the shelves. Thanks Melanie – I’m both a journalist and a blogger so it’s interesting to see how people react to both. Thanks so much Clare. I shouldn’t put too much focus on this to be honest (and I’m trying not to! ), but it was nice to just get inside the top 100. Thanks Rebecca – hope you are well lovely. I too struggle with blogging V vlogging – it’s a tough nut to crack isn’t it?! We’ll get there! Even if you didn’t write as much, you did do a few things this month. I like Whittard of Chelsea as well, I am a fan of their hot chocolate. I used to have 6 different boxes in my house at some point. Oooh – now you mention it, I could really do with a Whittard Hot chocolate right now! What was your fave flavour Joanna? Thank you! It’s tough juggling blogging and vlogging – I’m in the same boat. I need a dedicated time slot for the vlogging & blogging but seem to get distracted by all the other jobs waiting to be done! Yaaaayyyy congratulations on becoming a blogger ambassador. That can be great fun. It’s ups and downs with most I think with the number of posts. I find I can’t keep up with the work and posts come when they’re ready. 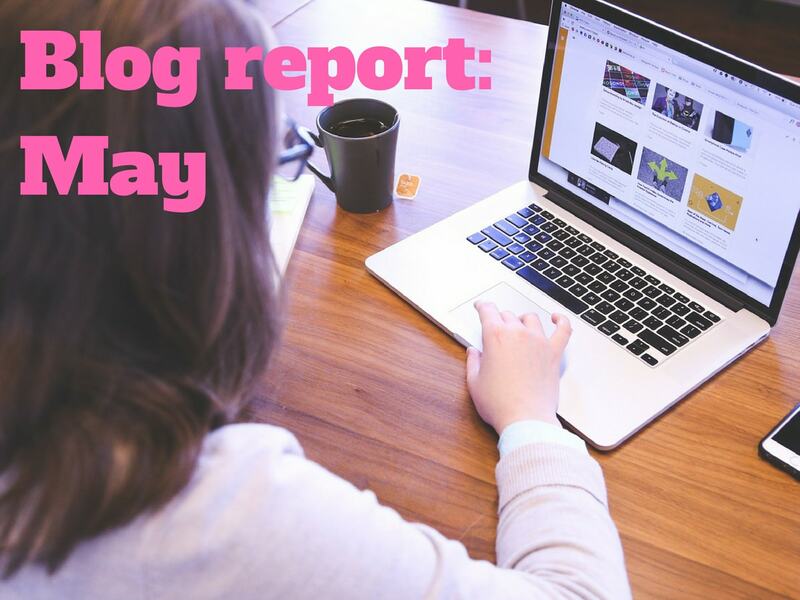 I love that you take time to do a monthly blog report, I am sure this keeps you in check on what you have done and need to do and I hope to start doing the same too. Sometimes we are too busy and forget to take note or certain things and this is such a perfect way to do it. Ah thanks very much. I find it helps reflect on how far I’ve come and sets my sights on new goals which offers me some order in my chaotic life!